People Don’t Get Strong From 30 Day Challenges…It Takes Time, Focus and Lots of Hard Work! 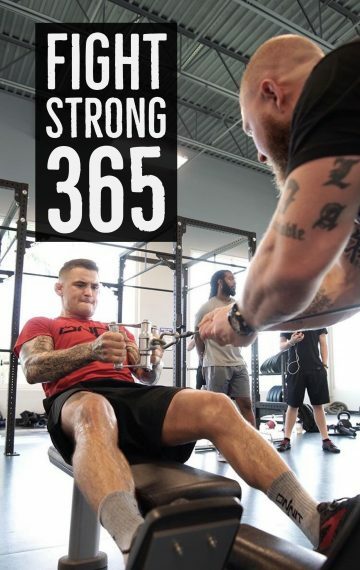 Phil Daru’s Fight Strong Training Plan Provides 12 Months Worth of Strength Building Workouts! What Are Top Fighters Saying About Phil Daru? I’ve never felt better and my physical preparation is on point! My cardio and explosiveness is the best its ever been. Phil pays attention to details, which is vital at this level. Phil is very dedicated, smart and a good friend… He has completely changed the way that I prepare for my fights and I feel great! 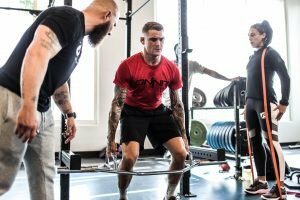 I’ve been working with Phil over the past year and by far he is my favorite strength coach that I’ve worked with to date. He is high energy, motivating, and skilled. I enjoy the challenge he presents with every workout. He knows how to encourage and push his athletes. I highly recommend Phil whatever your fitness goals are. I am a professional fighter who has been competing in mixed martial arts since 2007. When I met Phil I was dealing with several types of injuries and imbalances in my body. Phil was able to completely work around my injuries, while helping me to balance my body and strengthen muscles that I have never used. Being 6’4 can also make it difficult to add muscles to skinny legs without harming the low back. After working out with Phil for several months, my low back has never felt better and my legs are much stronger. Phil’s methods are very effective, my new abs thank you Phil! Coach Phil Daru is among the top strength and conditioning coaches on the world. I believe in his tactics. He not only pushes you physically and mentally but also is dedicated and shows up day in and day out. Definitely one one of the hardest working coaches out there. I have been working with coach Phil for about a year now and he is awesome. 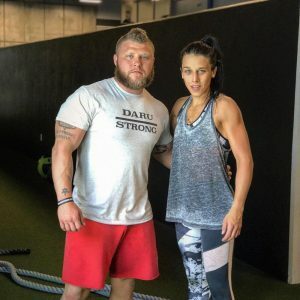 Not only does coach Phil present new challenges during every workout and pushes us past our limits, but he is also very motivating and never lets you give up on yourself. I am so grateful to be able to work with such a world class strength and conditioning coach. Coach Daru has gotten me the results I’ve been looking for as well as helped me reach the next level of performance as a professional athlete. He motivates me to be better in and outside the gym and I know I will continue to succeed under his watch. Not many people have the quality to make it easy to work hard, Phil Daru does. 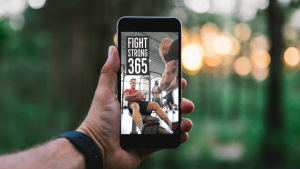 Fill out the short form and in just 2 short minutes your access link for “Fight Strong 365” will be sent to your email inbox.